Add Turmeric X95 (95% Curcumin) to your Favourite Herbs list. Herbosophy's Turmeric X95 is standardised to contain at least 95% Curcumin, with no fillers or preservatives and is freshly encapsulated for you at order or packaged as loose powder: the choice is yours. Our Turmeric X95 is a pure curcumin standardised extract with Lecithin and Piperine (Pepper) for extra absorption. Curcumin is traditionally considered by Herbalists to be warm and drying and has been a popular herb in India for culinary, cosmetic and health use. My bladder cancer (removed via BCG) and my wife's early colon cancer (removed via surgery) has not returned following the daily use of Turmeric capsules after 5 years as a maintenance dose. 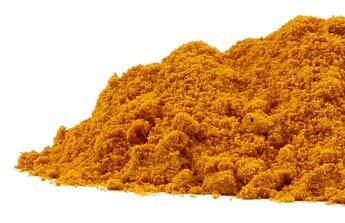 We have recently upgraded to X95 Curcumin to boost the cancer fighting potential of Curcumin. The price of $50 per bottle seems a bit high but we trust the stated highest quality of the Turmeric used and the supplier's proven integrity and reliability over many years. We were recommended this product and are very happy with it. Taking only 2 capsules daily, I have had to stop for a while, as I developed chronic diarrhoea. I am re-ordering though to continue using this product. Have found this product very good as I haven't had the pain that I once used to have before starting on these tablets. I can only put it down to the fact that the Turmeric is what my body needs. I seem to only need one capsule of this product where I was using 4-6 of the previous. Feel the difference immediately ..
Having suffered for quite a number of years with autoimmune and gut issues, turmeric is something I use on a daily basis- 3 capsules two to three times a day. The relief from inflammation is most of the time immediate - if it doesn't feel complete, I add various enzymes or probiotics for a stronger relief. I have used various other brands, some more or less expensive, but I feel that these, and other Herbosophy products, are the freshest and cleanest I found. I have dealt with this company for a few years. Their products are top quality and well presented. Their customer service is consistently excellent . They look after their customers and provide volume discounts. Great for type 2 Diabetes. I would like to tell you about the success I have had with the turmeric curcumin 95 tablets helping my diabetes. I am a type two on 4 insulin injections a day. I have reduced my daily insulin intake by 81 units a day . Yes this sounds too good to be true but I was injecting 20 units for breakfast now reduced to 3 units. Lunch I was injecting 22 units now reduced to 5 units. Dinner I was injecting 28 units now reduced to 6 units. I take 3000mg per day. 2x breakfast, lunch and dinner. As I am not using so many units I have lost over 5 kilos and the more weight I lose the less insulin I will need. I gave it to a friend that suffered from vertigo and she purchased Turmeric and Ginger tablets from you and the vertigo has gone and she is now boot scooting. Thank you for continuing to deliver products we can trust and which are of the highest quality! We are so thankful to have found you and commend you on the amazing job you do! A special thank you for filling my last turmeric order so promptly which arrived before my parents overseas trip. They have had such amazing health benefits from this product! So grateful! I have had bursitis in my shoulder for the last six months that caused terrific ongoing pain and limited movement. I was getting desperate but wanted a natural cure. I was taking Boswellia and then added Turmeric X95 and Licorice. The results within a month were incredible relief. The pain is almost gone and movement returning. Love the strength of the Turmeric X95 My family and I are so grateful for the day we found Herbosophy. Excellent product, ease of use and could feel it definitely worked after about 7 days. Works very well for arthritis pain. but takes a while to build-up in the system. therefore be patient. I am taking this for RA and it helps a lot with inflammation & pain. Also reduces stiffness in my joints. I do find it a bit too expensive though at almost $50 a bottle. Works well with krill oil, if I miss a day ort two the aches and pains come back. Much happier with this product which now has increased levels of curcuminoids and less of the other 2 ingredients. I have been taking this supplement for a couple of weeks as don't feel it is as effective as the previous version which had more Curcuminoids per capsule and only black pepper as an absorption aid. I felt better results on the previous formula. Expected to get a better anti-inflammatory effect. Still a lot of Arthritis pain. Have probably not been taking this product long enough to comment on the anti inflammatory benefits for my arthritis but full marks for efficiency of a rapidly delivered fresh product. The unexpected benefit that I've obtained this year since taking this capsule(2/day)is that I started sleeping 6-7 hrs/day. I've slept 3-4.5 hrs/day lifelong (57), & nothing else has helped change that. I can only assume that the sleep has been increased by the anti-inflammatory effect of these capsules on my body ...fantastic bonus! I've also lost weight- I have pituitary, adrenal & thyroid glands in failure, so that's not an easy feat- & my aches have eased. Fantastic! I have been taking the product for about 4 weeks, I haven't noticed any improvement. I will review again when I finish the capsules. This was the only capsule that I could source within Australia in this strength- with the necessary pepper content for absorption added. Assured freshness & quality delivered promptly- I'd highly recommend them! Turmeric provides great natural relief from pain and inflammation without the side effects of NSAIDs. For arthritis, joint pain or headache turmeric relieves the pain. I take a tablet daily with food to relieve rheumatoid arthritis and have not needed any drugs as a result. We are very fortunate that the use of this root herb has been documented for thousands of years by India, otherwise we would be paying significantly more if the patents of the drug companies for turmeric were approved. 8 years ago I started to get various aches and pains in my joints, the worst joints being those that had suffered some damage in my youth (nothing broken just strains and so forth). It took 2 years for 6 specialists to diagnose and then all agree, I had arthritis and then finally put me in a box, PSORATIC ARTHRITTIS, from there it was bi-monthly injections of a drug called Humira for some 6 months then swapped to a weekly injection of a drug called Enbrel. Both these drugs have severe side effects like soft tissue damage causing coughing of blood and nose bleeds. The 2 years prior to the injections I was treated various drugs 1 being Methotrexate which eats your liver away and my liver paid the price. I also was prescribed every other drug approved for treatment of arthritis yet my arthritis did not change . So I tried ever herbal remedy I could find, you name it I tried it I have a cupboard full of the things that do not work. Now 5 years on the injections have over the last year not worked as well and I am in a great deal of pain, consuming addictive drugs for pain relief, again with terrible side affects and long term dangers. I noticed there was a new injection for the treatment of Osteo and rheumatoid arthritis which the active ingredient is Turmeric or the active part, called Curcuminoids. So I have for the last month been taking 1 Tab per day of the Turmeric 95% Curcuminoids after 2 weeks the swelling in the worst joints were half the size and 2 weeks after that they are all but gone. I am taking half the amount of the chemical addictive drugs for pain relief and quiet frankly feel better all over. Mind you before I started taking Turmeric tablets I could not chew food for the month previous such was the pain in my jaw, my diet was of soup, 2 minute noodles which sadly have little nutrition so I was making a lot of soups myself but how much soup can one eat?